Joe plays guitar in a metal band – averagely well for a 20-year-old – and is enrolled on a music degree course at a post-92 university whose most pressing issue is its own survival. He didn’t have to audition and there was no real interview. He was told what to expect, but he didn’t fully internalise the message that he’d be better off if he could read music. Among his classmates are more rock guitarists, along with a drummer or two. Few read music fluently but most can handle guitar tablature and chord charts. There are also a handful of pianists and wind players, some of whom got somewhere in the grade exams. And there are some singers, all of whom will offer numbers from Les Misérables or The Phantom of the Opera for their recitals. Joe and his friends know remarkably little about their genre: the origins of the blues, Robert Johnson, 1940s rhythm and blues, race issues, post-war trad jazz and skiffle, or 1960s counter-culture. Certain individuals in the class have some familiarity with classical music, but certainly not the modernist, avant-garde or experimental stuff. Joe’s tutors will all admit to dissatisfaction with this situation. Lack of selectivity has a democratic ring, but how do you deal with musical illiteracy when teaching music theory, analysis or history? 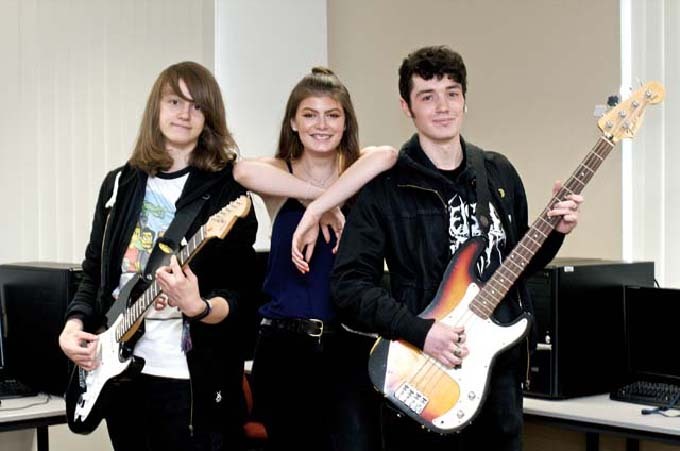 Joe came to university to have time to practise his guitar, play in bands, maybe learn a bit, and get a degree to help his employment prospects. After a few analysis sessions “not getting it” (for which he compensates by texting his friends and giggling) he stays away. At least that frees the more advanced students from having to sit around learning to notate simple chords. The problem is that the delivery and even the content of the courses these days are centrally informed by student feedback, which goes straight to middle management. If some students say that there’s too much classical music, modules get chopped. Coursework is dumbed down. New modules are frowned on (students walk away from the unfamiliar). Feedback is narrowly prescribed, and entered on to tick sheets. The spectre of student complaint lurks at every corner. The hegemony of popular idioms on Joe’s course is pretty well complete. Its content has not been so compromised that it is of no value. Good work happens; there are always excellent students. Yet the general easing off of real challenge, and the consequent flattening out of musical experience, is noticeable. Joe can get through without troubling his ears with a wide range of Western music, from Dufay to John Coltrane, Machaut to Ligeti, oral balladry to those more experimental approaches that challenge technique; warp relationships between composers, players and audiences; and probe the socio-political relevance and very nature of music. Student fees and consumerism are not the only cause, however. There’s a history. Once, all music courses were devoted to the European notated tradition. Other forms of music got a look-in only in so far as they influenced “legitimate” composers. From the 1970s, critique of this state of affairs opened the door to jazz, folk and rock. But in the worthy name of equal sonic rights, the downgrading of the previously dominant tradition leaves it, in effect, unequal both at point of entry (few can play it), and within the curriculum. This wholesale embrace of populism in pursuit of higher recruitment and satisfaction numbers irons out musical minorities and marginalises any sense that music is a value in and for itself. Gone is the idea that study can (and should) be difficult at times, and certainly not always concerned with what is most immediate. Gone is the possibility of a musical democracy based on a critically informed public. Let’s just agree that there is cultural and musical analysis that can be applied to, say, Nirvana’s Smells Like Teen Spirit – its antecedents, its position in the rock canon, the video, its layers of meaning, its relationship to Generation X, the styles of playing, the arrangement, the affective aspects of the melody and powerful fills, the production. However, in terms of formal conception and internal musical development, Teen Spirit’s simplicity is not comparable to even a modest work by Mozart, Stockhausen or Coltrane. It should still be studied, but certainly not to the exclusion of those titans. Of course, it could be argued that all those traditional musical languages and skills (including the modernist ones) belong to the past and that new programmes need designing for today. Such programmes, however, cannot credibly confine themselves entirely to an ahistorical focus on music technology and popular music. They still need rigour and intellectual heft. I would be alarmed if Jacques Attali’s 1977 book Noise: The Political Economy of Music was not on the reading list, for instance, or John Cage’s 1961 Silence, or any of the increasing number of volumes about sonic art. After all, no music cries out for new ideas more than rock does – which routinely mistakes “attitude” for radicalism. Music in higher education needs vision. What do we want it to be? Who studies it? Who funds it, who doesn’t – and why? At heart: do we want a music course to be a commodity with clearly defined hoops for the students to jump through, but with no critical perspective on the status quo of music or the “music industry”? Music is not merely an art of repetition or imitation, driven by commercial imperatives. It is a vision: a means of expansion rather than contraction. A better recognition of that would address what should be the central question of a genuine musical education: given the plethora of music already streaming into our ears, why do we need any more? Author Bio: Sam Richards is a music improviser, composer and writer.